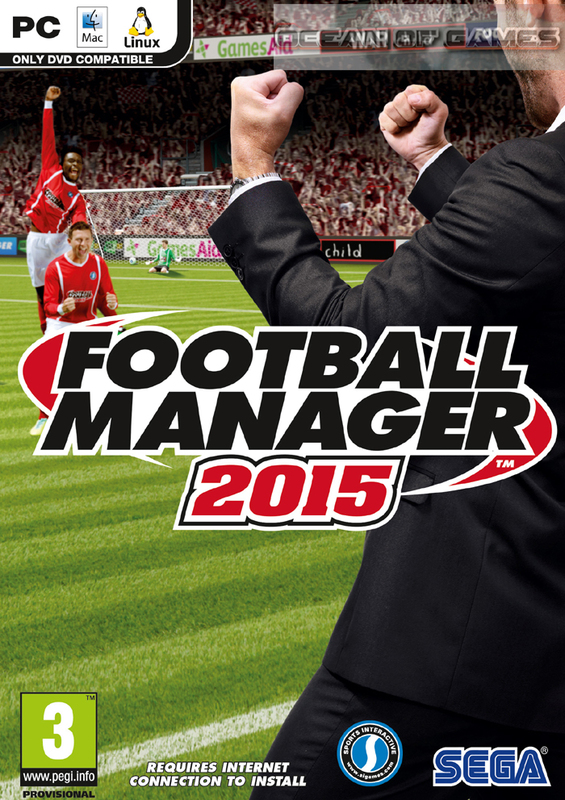 Football Manager 2015 is developed by Sports Interactive and is published under the banner of SEGA . This game was released in November 2014 . You can also download Football Manager 2012 . 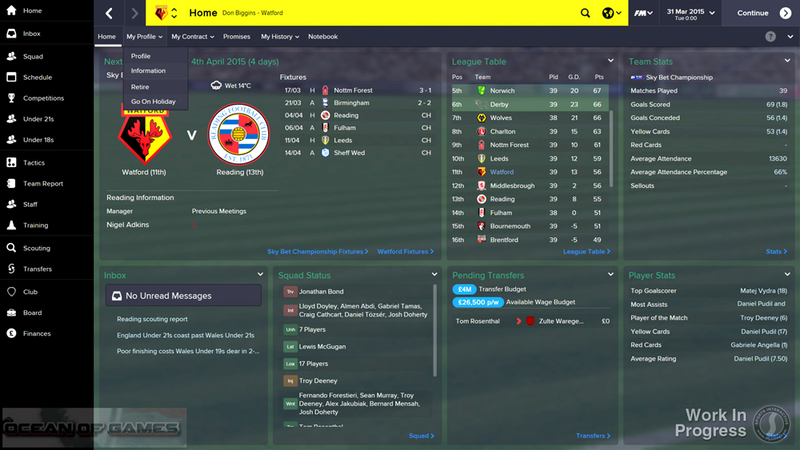 Football Manager 2015 is considered as the most realistic and detailed simulation of football management. 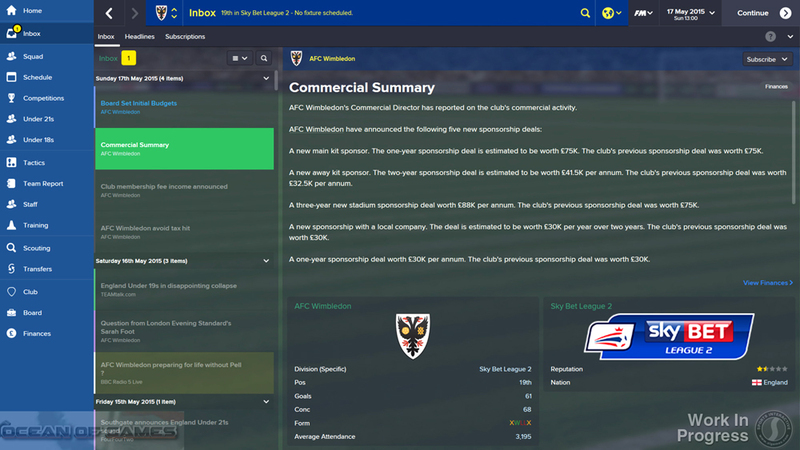 You have been given the role of football manager. and you have to decide who will play and who will sit on bench. You have to come up with different strategies and tactics to bamboozle the opponent. You need to substitute your players effectively and need to instruct player from pitch-side. You may also like to download FIFA Manager 13 . You can also express your management style with an all new manager points system. You can focus on youth development, scouting and coaching. It introduces new user interface with a navigation bar on left hand side. The graphics of Football Manager 2015 PCgame are very impressive and the player depicted in this game replicate player from todays world. The game features clubs from more than 50 countries all across the world. The game includes a Classic Mode which will let you select nations, players and leagues. You can also download FIFA Manager 14 . This entry was posted by OceanOfGames on February 5, 2017 at 5:16 pm, and is filed under Football, Simulation, Sports. Follow any responses to this post through RSS 2.0. You can leave a response or trackback from your own site.